I don't know about you, but it's felt like summer around my hometown for months now. We've already hit the triple digits and we've seen 90+ degree weather since April. But now that it's officially summer, it's time to share my favorite accessories to take down to the beach for a day by the water. I used to think that all I needed down at the beach was a towel, sunscreen, and a good book. Cooler: absolutely a necessity. I purchased a new one of these for this summer & I can't wait to use it. Beach Cup: I received one of these for Christmas this past year and it is perfect for the beach. No more watered down/warm drinks because your ice has melted. Bluetooth Speaker: who doesn't love listening to tunes in the sand? We love to play a beach music station on Pandora when we've got this out on the beach with us. Towel Clips: I didn't know how awesome these were until I had a set for myself. Trust me. Buy them. Phone Case: my fiancé bought this for me a couple of years ago and it is PERFECT for beach / lake / pool days. Beach Towel: gotta have one. Beach Bag: & of course, you need a bag to hold all of your goodies in. Alright - what am I missing? 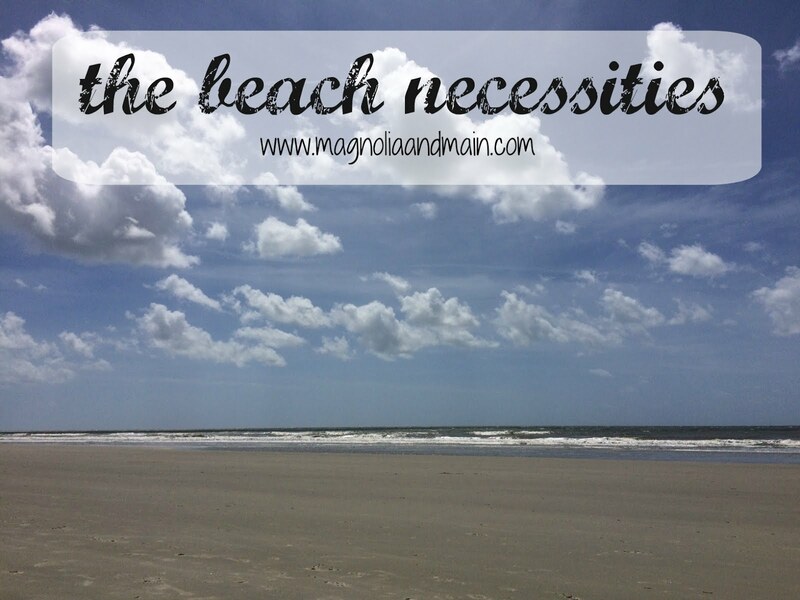 Do you have a favorite beach accessory that I need to scoop up and add to my collection? Let me know! Isn't it funny how the older we get the more we need for the beach? Ha! I have those towel clips and love them! I totally took for granted having my mom pack all of this stuff when I was little! It's so different now that I'm older and have my own family and now that I'm the one in charge haha! I really need to get some of those beach towel clips! And I have a Thirty-One pouch that i use to put all of my little essentials in....chapstick, keys, cash, etc. I have those same flamingo towel holders and I love them! I bought them years ago and when I pull them out so many people are like why would you need those then later they are like..uh can I borrow one! I love the drink holder! I totally could use that at the beach (except the beach we go to doesn't allow alcohol so maybe it wouldn't work). Towel clips are amazing too! No one likes when their towel goes flying off the beach chair! So many good things here! I love that drink stake and the towel clips! Now I realllly want to go to the beach! Those towel clips are a great idea! I had no idea that they existed! 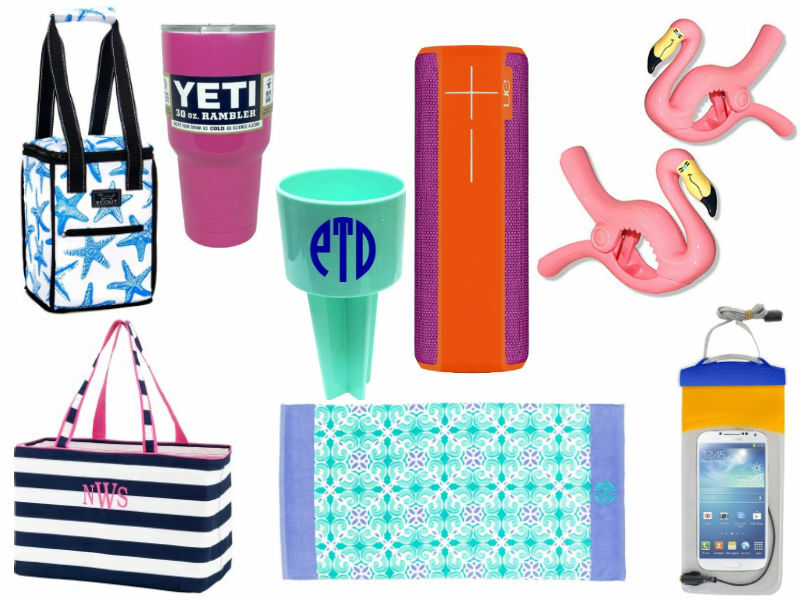 I don't think that there's anything more perfect for the beach than a Yeti! Cold drinks are definitely the worst, and you never have to worry about warm beverages with a Yeti! I also love the idea of taking bluetooth speakers with you too! Those towel clips are such a good idea! need ALL of these and omg those towel clips i must find since im going to the beach next week! my favourite beach accessory is the beach! haha. seriously though, i have never been to a US beach, can you believe it? i've seen the water, but never at a beach if that makes sense. one day i will change that.